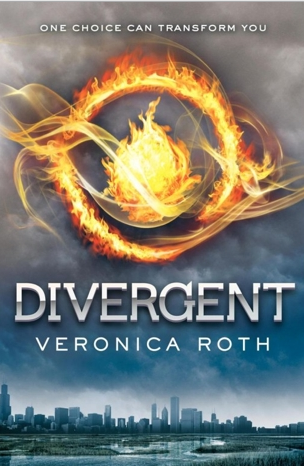 You may not have read the book, Divergent, but with the release of the blockbuster movie just around the corner we thought we’d pull out some life lessons from the book. Your Results are Inconclusive Everyone feels out of place once in a while. If you don’t fit in a category, they can’t control you so it’s up to you to choose your faction –er, uh—path in life. Choose your own job as an Amity fruit packer, form opinions you want to argue as an Erudite, wear jewelry that reflects your Dauntless personality, color your hair that makes you an Abnegation stand out. Embrace you individuality. Watch for the Chasm There’s a fine line between idiocy and bravery. You should get familiar with where that line is and stay a reasonable distance away from it and you won’t find yourself at the bottom of the chasm. Face Your Fear Landscape Your fear doesn’t have to be as dramatic as being locked in a glass case filling with water, but facing your fear will make you stronger. Gaining confidence and courage is a way better incentive than being ranked number one in your faction. We Just Have to Let Guilt Remind Us to Do Better Next Time Guilt is just painful enough that it’s a very effective teaching tool. Choosing your faction over your family probably tops Tris’s guilt inventory. Let her mistake be a lesson to you. Family always comes before faction and that’s one less thing that will haunt you. You don’t have to be a 16-year-old living in a dystopian society to understand adversity, but letting her live those lessons for you will make being prepared for it very easy.